Image: Jesus MAFA, Camaroon, 1973. "Choose Justice," Kathryn M. Matthews, Sermon Seeds, UCC, 2016. "Fair Trade, Free Trade and the Price of Grapes in Jezreel," Stan Duncan, If You Lived Here You'd Be Home By Now, 2016. Exegesis, Ordinary 11, Timothy P. Schehr, The Athenaeum of Ohio, Mount St Mary's Seminary, 2016. The Lectionary Lab, Pentecost +4, the Rev'ds Dr. John Fairless and Delmer Chilton (aka "Two Bubbas and a Bible"), 2013. Lectionary Lab Live podcast. "Do You See This Woman?" D Mark Davis, Left Behind and Loving It, 2013. Evangelectionary, Jonathan Shively, Evangelism Connections, 2013. He Is Violating Our Traditions, John Jewell, Lectionary Tales, 2013. Girardian Reflections on the Lectionary, Proper 6, by Paul Nuechterlein & Friends. Jesus Now, Proper (Ordinary) 11C. Lectionary, study and worship resources from Faith Futures Jesus Then & Now. "Your Faith Has Saved You," Karoline Lewis, Dear Working Preacher, 2016. "It's All About Forgiveness," David Lose, ...in the meantime, 2016. Living by the Word, Mihee Kim-Kort, The Christian Century, 2016. "Welcome, Sinners," John W. Martens, America: The National Catholic Review, 2016. "What the Body Knows," Debie Thomas, Journey with Jesus, 2016. "Who Can We Trust To Lead Us?" Eric Barreto, ON Scripture, 2016. Commentary, video, discussoin questions. "Unexpected Guest," RevGalBlogPals, commentary and discussion, 2016. "The Healing of Smelly Feet," Andrew Prior, 2016. "Holier Than Thou," David Sellery, 2016. "What Lies Within: Breaking the Alabaster Jar," Anna Shirey, The Labyrinth Way, 2016. "Agency and Depravity," Eric Smith, LECTIO, 2016. "What's Yours Is Mine," Jerry Carpenter, Weimar Wanderings, 2016. "What We Owe," Ragan Sutterfield, 2016. "More Than Sandwiches," Melissa Bane Sevier, Contemplative Viewfinder, 2016. "Ordination for the Woman on the Floor," Nancy Rockwell, The Bite in the Apple, 2016. "Jezebel," Lynn Miller, celebrating our creative and living God by generating art and architecture resources for congregations and individuals. Art and Faith Matters facebook page contains additional resources. "Why God Doesn't Do Division," Sharron R. Blezzard, Stewardship of Life, 2016. "The Lure of a Vineyard," John C. Holbert, The Peripatetic Preacher, 2016. "The Women Disciples of Jesus," Robert Cornwall, Ponderings on a Faith Journey, 2016. "Unauthorized Faith," Journey to Penuel, 2016. "Two Debtors," Glenn Monson, Law & Gospel Everywhere, 2016. "Nothing Left to Lose: The Woman with the Alabaster Jar and a High School Graduate," Janet H. Hunt, Dancing with the Word, 2016. "Southerners, Jesus, and Drag Queens," Anna Tew, Modern Metanoia, 2016. The Preacher's Study, John W.B. Hill, The Associated Parishes for Liturgy and Mission, 2016. "To Those Women," Larry Patten, 2016. "Forgiven," Andrew King, A Poetic Kind of Place, 2016. "The King of Irony," Scott Barton, Lectionary Poetry, 2016. "An Unknown Servant?" Thomas Beam, 2016. "Forgiveness and Gratitude," David Lose, Dear Working Preacher, 2013. 2010. "Religious liberty for the Rest of Us," Anthony Hatcher, ON Scripture, Odyssey Networks, 2013. "Glimmers of Hope: Prophetic Voices and Political Violence," Pentecost 4, Daniel B. Clendenin, The Journey with Jesus: Notes to Myself, Journey with Jesus Foundation, 2013. 2010. 2007. "Ahab, Naboth and Jezebel," "Paul," "Nathan," sermon discussion from Frederick Buechner, Frederick Buechner Blog. A Piece of Jesus' Mind, Alyce M. McKenzie, Edgy Exegesis, 2013. What Goes 'Round...or Does It? John C Holbert, Opening the Old Testament, 2013. "Big Love," Sharron Blezard, Stewardship of Life, 2013. Alabaster Jars of Joy, Rick Morley, 2013. "Known by Service!" Thomas Beam, 2013. Kissing, Christopher Burkett, PreacherRhetorica, 2013. 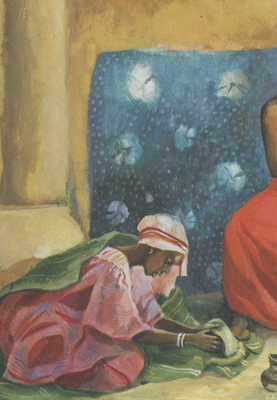 "Responding to Jesus: A Child's Song, A Woman's Gift," Dr. Janet H. Hunt, Dancing with the Word, 2013. The Silence of God, Peter Lockhart, a different heresy, 2013. More Than a Prophet, Heather Carlson, Ekklesia Project, 2013. "but that she wept," Suzanne Guthrie, Soulwork toward Sunday: At the Edge of the Enclosure, 2013. "The Price of Wanting More," Beth Scibienski, A Thousand Years of Inspiration, 2013. Rex Lex?, Steve Godfrey, Church in the World, 2013. Celebrating the Discipleship of Leaders (at the end of the school year), Katie Munnik, Presbyterian Record, 2013. "It's Raining Tears," Neil Chappell, a weird thing, 2013. "Often Enough," Larry Patten, 2013. "A Very Human Thing to Do," Steve Goodier, Life Support System, 2013. "Taking Simon the Pharisee to School: Lectionary Reflections for Sunday," Alyce McKenzie, Patheos, 2010. Evangelicals and Immigration Reform, Cross Examinations Group, Patheos, 2010. Wrath and Mercy, Law and Grace, Debra Dean Murphy, Intersections: Thoughts on Religion, Culture and Politics, 2010. Gratitude, Melissa Bane Sevier, Contemplative Viewfinder, 2010. What Does He Possibly See in Her? Peter Woods, I Am Listening, 2010. Tuesday Lectionary Leanings, 2007, RevGalBlogPals lectionary discussion. Dylan's Lectionary Blog, Proper 6C. Biblical Scholar Sarah Dylan Breuer looks at readings for the coming Sunday in the lectionary of the Episcopal Church, 2007. "Uncontainable Love," by Cláudio Carvalhaes. A Sermon for Every Sunday. Video sermons from America's best preachers for every Sunday of the Liturgical Year. "How To Get Exactly What You Want," James Somerville, Day 1, 2016. "Alabaster Extravagance," the Rev. Dr. Mary Anderson (ELCA), Day 1, 2013. "All of us part Pharisee and part sinful woman," the Rev. Ken Kesselus, Sermons that Work, Episcopal Digital Network, 2013. "Who Is My Neighbor? Faith & Global Hunger, Pt 1," Dr. W. Hodding Carter, III, Day 1, 2010. "A Place of Welcome," the Rev. James T. Moore, Day 1, 2007. "Choose Justice," Weekly Seeds, UCC, 2016. "Prepositional Problems," Faith Element, 2016. Podcast. "Scoundrels All Are We," Faith Element, 2013. Bible Study, Proper 6C 2013, Ben Garren, Bexley Hall, Sermons that Work, Episcopal Digital Network. Estudio de la Biblia. 4 Pentecostés, Propio 6 (C) por Ben Garren, Sermones que Iluminan, 2013. Faith Lens, ELCA, on sabbatical until fall. LCA Worship Planning Page, Pentecost +4, "Everything lay-readers need to prepare worship." Worship Resources, Fourth After Pentecost, Rev. Mindi, Rev-o-lution, 2016. Lectionary Liturgies, Proper 6, Thom M. Shuman, Presbyterian Church (U.S.A.), 2016. Mustard Seeds, "God's Generosity," Proper 6 / Ordinary 11 / Pentecost 4, 2016. A lectionary-based ideas resource for leaders of contemporary worship, Ann Scull, Gippsland, Australia. Liturgy Resources, Pentecost 4, by Rev David Beswick, Uniting Church in Australia. Lector's Notes, Ordinary 11, Gregory Warnusz, Saint Jerome Parish, Bellefontaine Neighbors, MO. Notes and commentary for those reading this week's lectionary texts to the congregation. Proper 6C, prayers and litanies, Katherine Hawker, Outside the Box. "Show Great Love," rtf or pdf file of liturgy at Worship Ways. The Timeless Psalms: Psalm 5:1-8, Joan Stott, prayers and meditations based on lectionary Psalms, 2016. A Prayer for the Fourth Sunday after Pentecost, Stephen Brown, Prayers from the Closet, 2013. Prayers of the People, Lowell Grisham, St. Paul's Episcopal Church, Fayetteville, Arkansas, 2013. Prayer for Proper 6C / Ordinary 11C / Pentecost +4, RevGalBlogPals, 2013. Prayer for Father's Day, revabi, RevGalBlogPals, 2010. A Litany for Father's Day, Rick Morley, 2013. Commentary on collect for Ordinary 11, Bosco Peters, Liturgy. HermanoLeón Clipart, Ordinary 11. Free clipart, backgrounds, slides, etc. Clip Art Images: Luke 7:36 - 8:3, Misioneros Del Sagrado Corazón en el Perú. A 'Sinful' Woman Forgiven, audio telling, story in episodes, graphic, audio and written commentaries. Go Tell Communications, Biblical Storytelling for the Global Village, 2010. Nullifying Grace? faithelement, various mulitimedia approaches to this week's scripture texts. "Eraser or Dollar Store Magic Trick," video, John Stevens, Dollar Store Children's Sermons, 2013. God of the Women, Carolyn Winfrey Gillette, SLANE 10.10.9.10 (?Be Thou My Vision? ), includes this verse referencing Luke 8:1-3 ?God of the women who walked Jesus' Way, Giving their resources, learning to pray, Mary, Joanna, Susanna, and more ? May we give freely as they did before.? "Christ, You Are Life," Carolyn Winfrey Gillette's hymn based Jesus' raising the widow's son at Nain (Luke 7:11-17) and forgiving a sinful woman (Luke 7:36-50). Tunes: LYONS 10. 10. 11. 11 ("O Worship the King, All Glorious Above!") and HANOVER ("Ye Servants of God, Your Master Proclaim"). Psalm 5:1-8 set to St Thomas (SM) , Psalm 32 set to Duke Street (LM), by Dale A. Schoening, Metrical Psalms. Hymn and Song Suggestions, Proper 6C, 2016, annotated suggestions from Natalie Sims, Singing from the Lectionary. Worship Resource Manual, The Moravian Church, Southern Province. Worksheets for planning music in worship: hymns, anthems, solos, organ repertoire suggestions for RCL texts. Direct link to Proper 6. Choral Anthem Project, Ordinary 11C, National Association of Pastoral Musicians. Sing for Joy, Lectionary 11, 2007. Choral reflections on this week's lectionary readings, St. Olaf College. Worshiping with Children, , Including children in the congregation's worship, using the Revised Common Lectionary, Carolyn C. Brown, 2016. "My Father's Forgiveness," On the Chancel Steps, children's resources by Frances Woodruff, 2013. Children's Sermon, Faith Formations Journeys, 2013. Story for Children's Worship and Family Activity, Ordinary 11, at word-sunday.com: A Catholic Resource for the Lectionary by Larry Broding. Lectionary Puzzles, Proper 6/Ordinary 11. Word search puzzles in RTF or plain text, by Reg McMillan, St.Stephen's Presbyterian Church, Peterborough, Ontario.